Case is ignored, and smaller words will be found if they form part of a longer word. For example search term 'man' will find these words if they occur: man, manage, German, Manston, Normandy. Names include: populated places, roads, community buildings and organisations, landscapes, woodland etc. 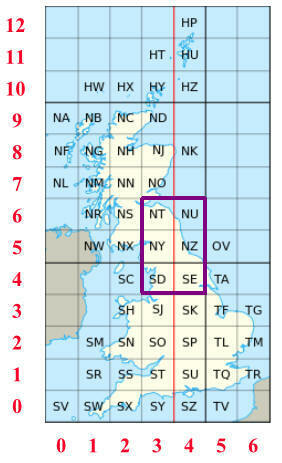 More than 561,000 records in the north of the UK covered by OS map grids: SD, SE, NY, NZ, NT, and NU. Contains Ordnance Survey data © Crown copyright and database right 2018. Contains Royal Mail data © Royal Mail copyright and database right 2018. Contains National Statistics data © Crown copyright and database right 2018.